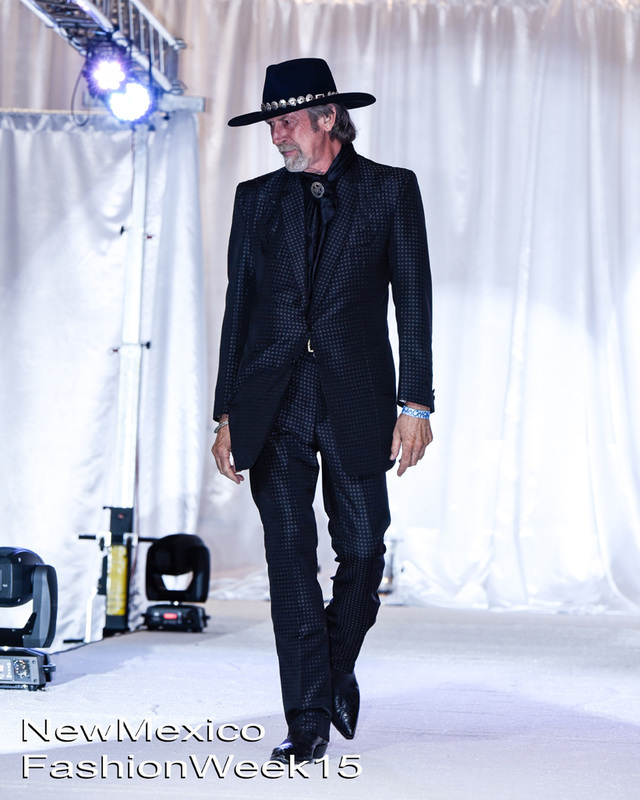 New Mexico Fashion Week Albuquerque is pleased to announce the return of NMFW15 designers, ​Montecristi Custom Hat Works​​. ​Celebrating its 40th year in Santa Fe, Montecristi is well-known for its signature styling of traditional, Western and millinery styles. Serving the everyday working stiff (like themselves), working cowboys and all those who love Willie, as well as Presidents, governors, senators, ambassadors, titan of industry and finance, movie stars and the super wealthy, this custom hatter has earned it stellar international reputation by seeking out the best raw material and following the most exacting construction principles for its unique interpretations of western, traditional and modern designs. Clients who come to the shop are precisely fitted using an antique French tool called a conformitor that's more than 120 years old. A unique self sizing kit is available for those who can't visit in person. All of its top-of-the-line hats are made from proprietary fur felt material such as the luxurious 1000X of the most select beaver and mink furs or the legendary Panama material, the very best being of Montecristi Super Fino quality. 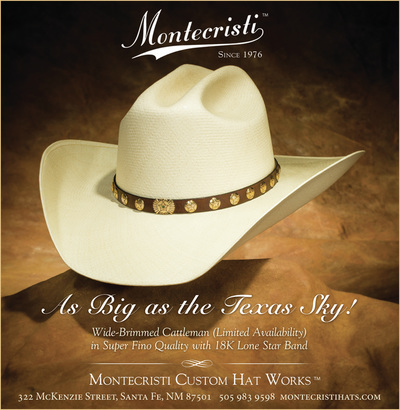 Montecristi prides itself on offering the finest selection of exquisite, many one of a kind hatbands available. Chose from gold or silver, some ornamented with precious stones such as emeralds and rubies, the very finest horsehair and leather braids, beadwork and incredible antique feather leis from Hawaii. 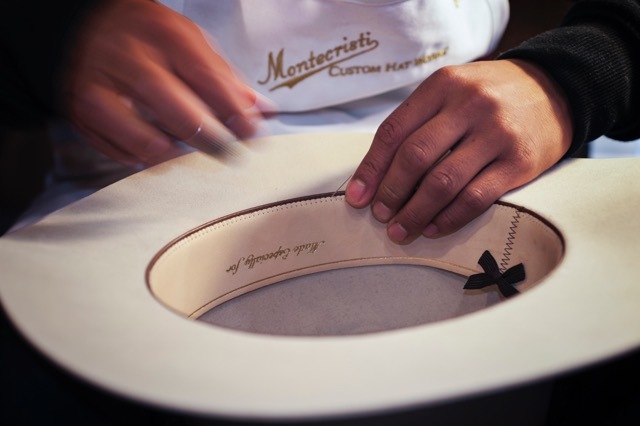 As for the ladies, Montecristi also prides itself in its rapidly expanding offering of millinery styles available in their downtown retail store, Santa Fe Hat Company. 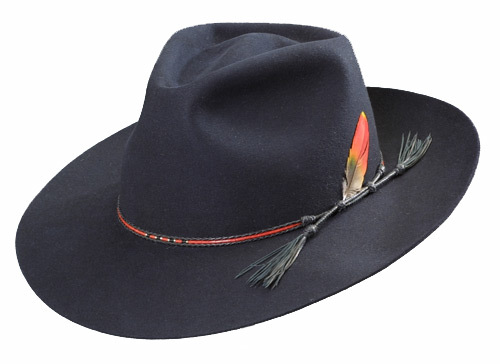 Among the movie stars donning Montecristi hats in recent movies are Tommy Lee Jones in The Homesman, Liam Neeson in Seraphim Falls, and Ed Harris in Appaloosa. 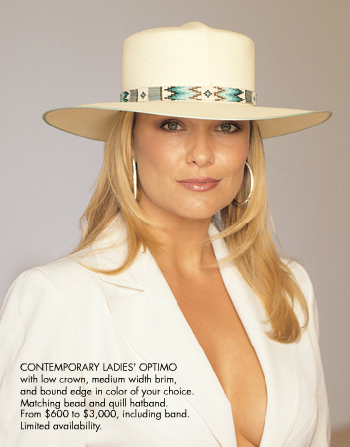 And remember, "When Only The Best Will Do", always chose Montecristi Custom Hat Works, Santa Fe, New Mexico. ​Montecristi fur felts hats range in quality and price from 50% beaver blends starting at $700 to our excellent 100X pure beaver for $1200 to $1700 and topping out with our incomparable 1OOOX priced at $5000. 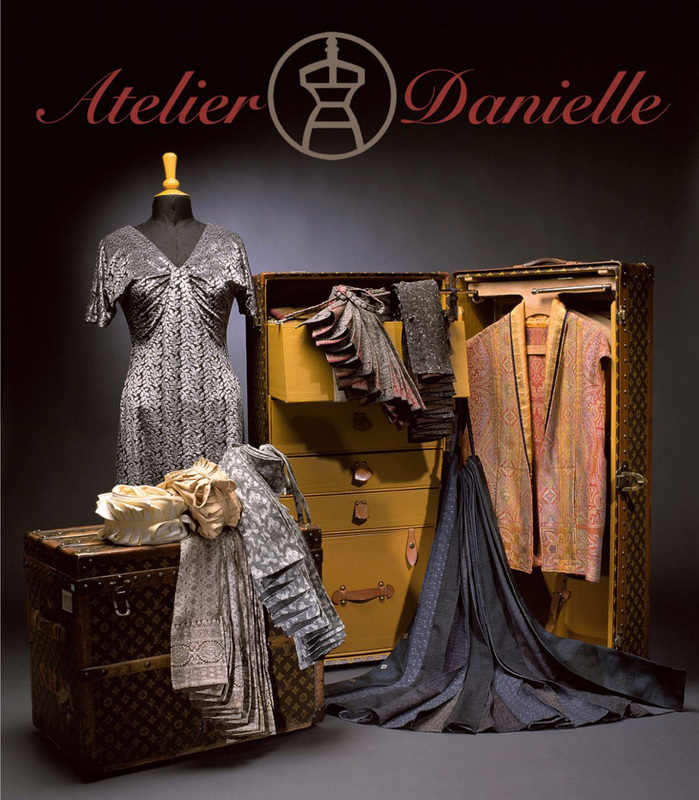 ​New Mexico Fashion Week Albuquerque is pleased to welcome designer, Atelier Danielle, to NMFW16. 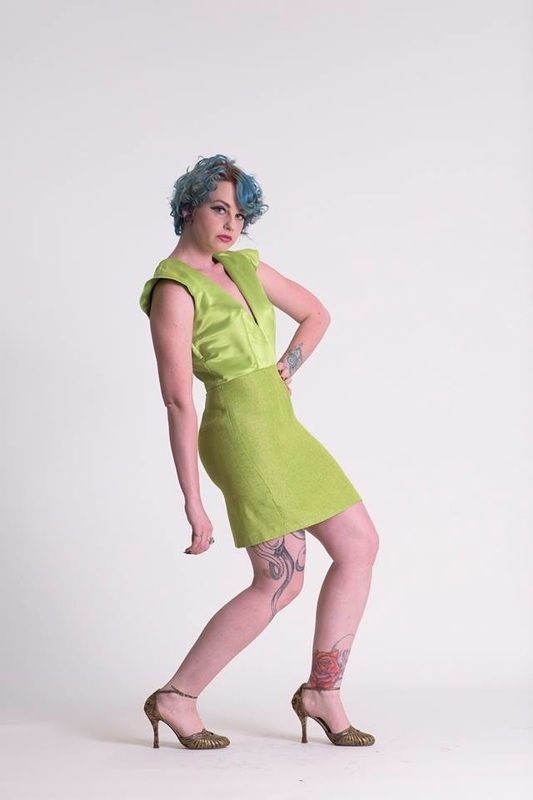 ​Danielle is honored to be presenting her work at New Mexico Fashion Week and summit in Albuquerque April 2016. 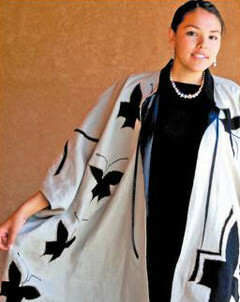 Atelier Danielle is a Santa Fe-based designer & custom clothier. 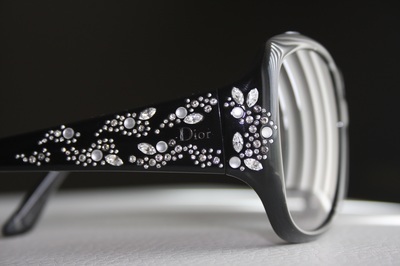 The designer’s timeless elegant designs evoke a studied nonchalance at ease whereever you are. The assemblage of luxurious textiles combined with vintage kimono, saris, and lace form a rich platform for A.D.’s original designs. Her silhouettes are inspired by both tailored haberdashery and ethnographic forms with couture finishes . Garments are often reversible with great attention to detail and longevity. 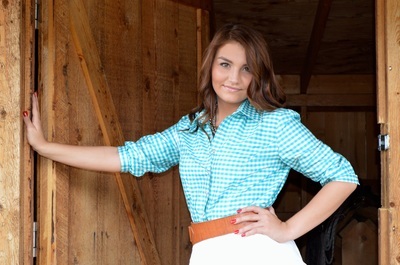 Clients and Textiles are Danielle’s muse. 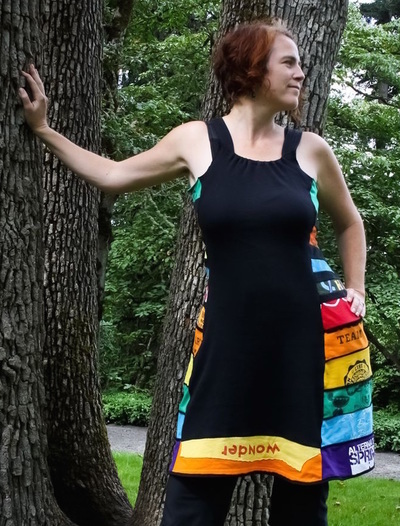 Danielle pursues an environmentally sound design process . 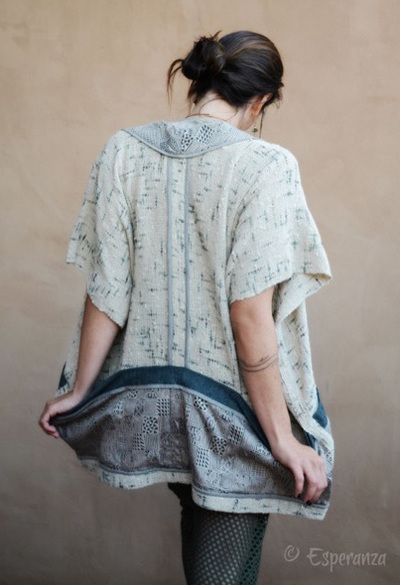 Every garment is created one at a time by Danielle, and skilled local artisans paid a living wage. ​www.atelierdanielle.com. ​New Mexico Fashion Week Albuquerque is pleased to announce the return of NMFW15 designers, ​Bossarolla. New Mexico Fashion Week Albuquerque is pleased to announce the return of NMFW14 & NMFW15 designer, Destinista Fashions. Destini strives to bring out the ultimate best in her designs. She wants the clothes to be wearable, fashionable, clean lined, sophisticated, with a touch of her edge. 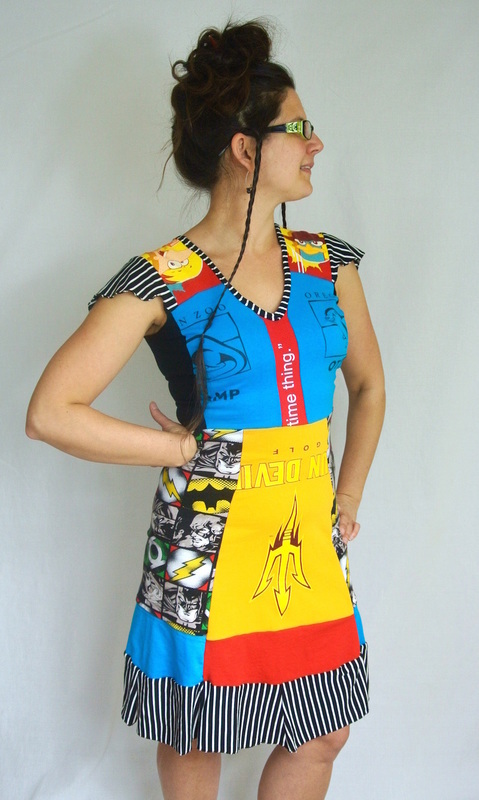 She sees her designs as a piece of abstract art that comes to life. 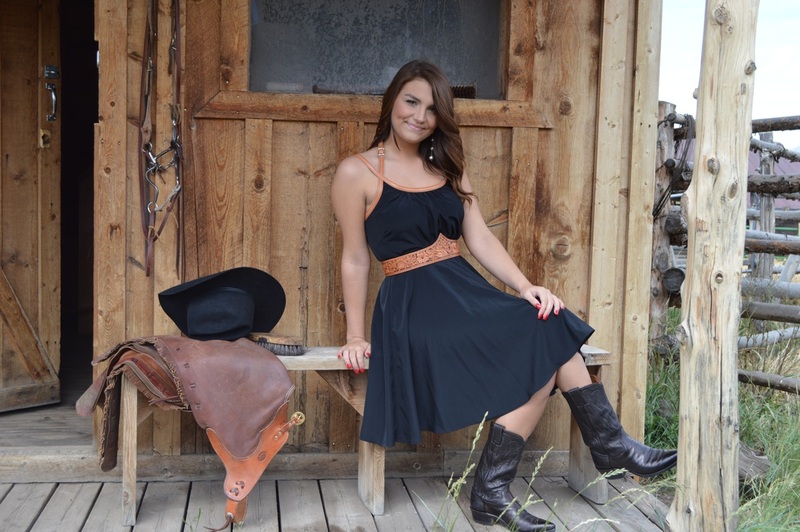 Destini Duran graduated with a fashion design degree from Santa Fe Community College May 2014. Her passion is for fashion and she strives to bring out the best she can in her designs. 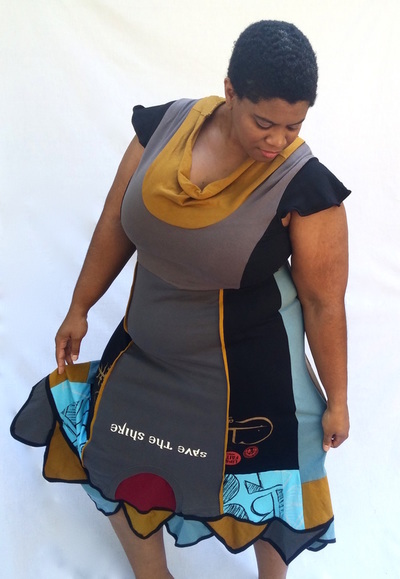 Destini uses the fabric as the cover, the designs tell the story. Destini wants to express herself as a designer through the pieces she creates, while making the woman feel absolutely beautiful every time she puts the garment on. She wants the ordinary world of fashion to be eye opened with her beautiful printed fabrics and unique sense of design. She strives for a sophisticated edgy look. Experience this journey with her as she discovers not only what her hands can do but what her vision turns out to be! New Mexico Fashion Week Albuquerque is pleased to announce the return of NMFW14 & NMFW15 designer, Enlightened Designs. Designer Sharidynn Denetchiley represents the Din'e (Navajo) Nation. 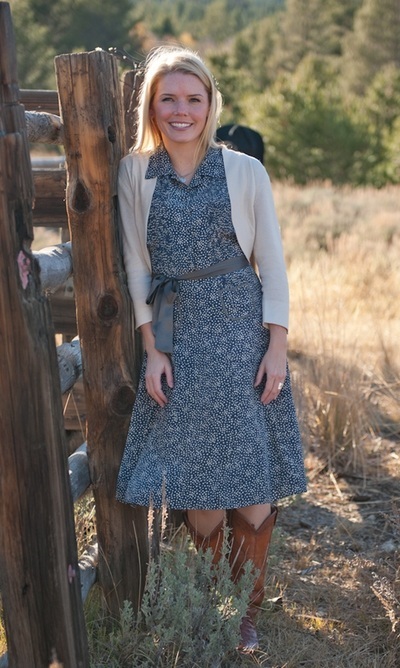 She is originally from the Four Corners Region, and resides in Albuquerque, New Mexico. 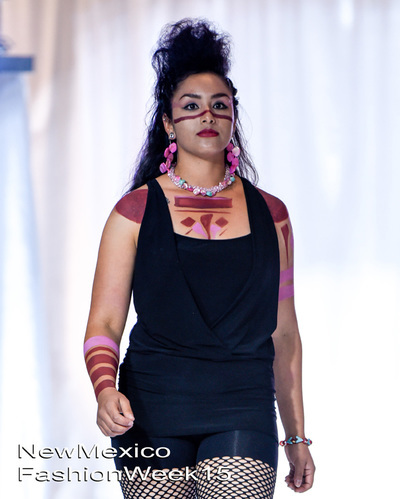 Since beginning her career seven years ago, she has taken part in many jewelry and fashion shows across New Mexico to showcase her artistry. 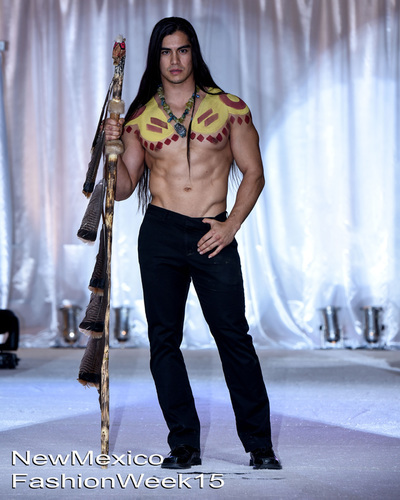 Her resume includes collaborations with other Native American models and designers across the country, as well as First Nations who represent the Canadian region. 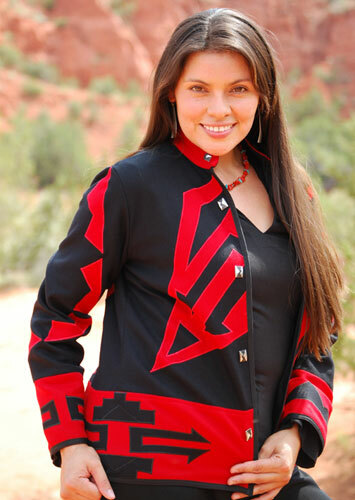 Being proactively involved in the entertainment business, Sharidynn produced her own Fashion Show in 2012 during the Gatherings of Nations Pow Wow in Albuquerque, NM. 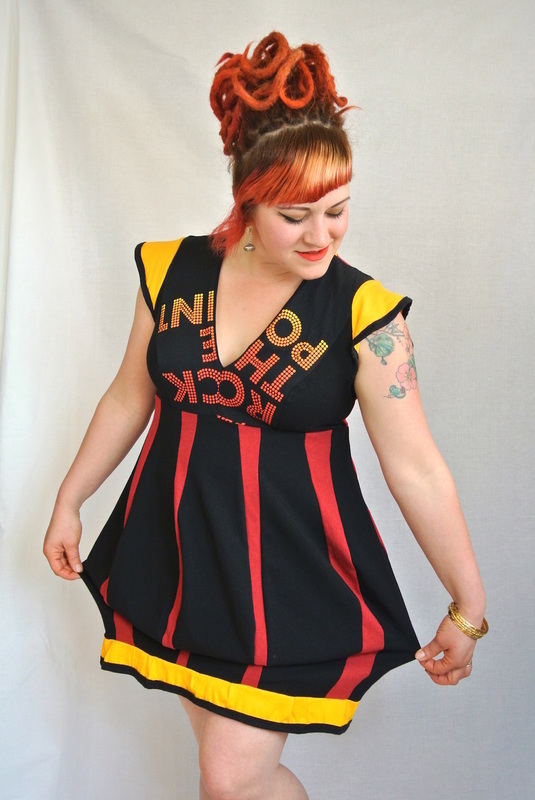 Her work was featured in Native Max Magazine Summer 2012, and Spring 2013. 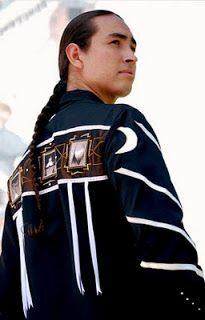 Sharidynn strives to inspire other Native Americans, especially the younger generations, that there is a role in every industry for all races if they believe and follow their dreams. It takes action for one to follow, which is admired by dedication, and hard work. 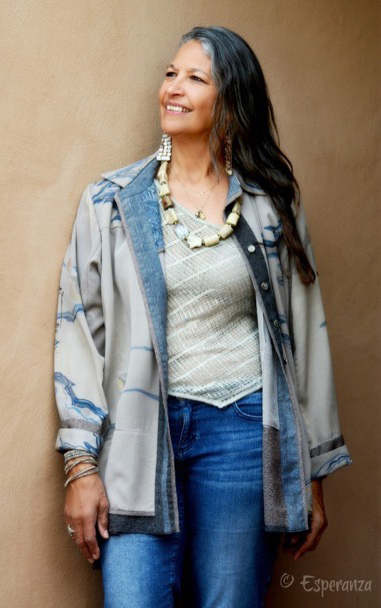 Living in two worlds of traditional and contemporary, she finds her balance in composing Contemporary Native American Jewelry, as she represents a new generation of jewelers. 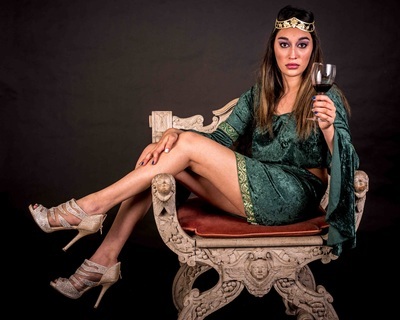 New Mexico Fashion Week Albuquerque is pleased to welcome designer, Guadalupe Ramirez Fashions, to NMFW16. In 2001 Guadalupe moved to Albuquerque, NM and discovered that he could continue his studies in the Fashion Design Program at the Santa Fe Community College, and be influenced by the cities artistic culture. Mr. Ramirez enrolled in August of 2003 and earned a place in the Dean’s List until his graduation in 2005. After graduation Guadalupe lived in New York City for about a year studying and refining his skills at Fashion Institute of Technology (FIT) and learned a great deal. In the fall of 2006 he presented a line of swimwear at the Santa Fe Designers Show. In 2007 Guadalupe was asked by the publisher of Bliss Magazine to show his work in the magazine. In 2008 proved to be a busy year for Mr. Ramirez with a Fashion Show at El Farol, and an article in the, Albuquerque Magazine also he was showcased in an article by a New York Model and Fashion Magazine called, Nifty Magazine. Taking a small break in 2009, he was asked to be a guest Fashion Designer at the, Vizion Fashion Show, at the Marriott Hotel. This quickly followed by the , A Walk for Beautiful Fashion Show at The University of New Mexico sponsoring women dealing with serious gynecological issues. 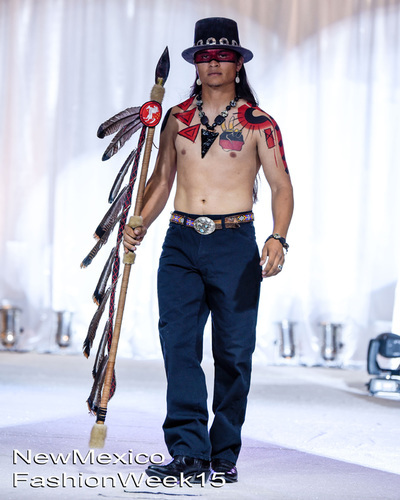 Guadalupe has done Fashion Shows mainly to support foundations like for example (GCAP) The Gynecological Cancer Awareness Project (GCAP) his first Fashion Show for the foundation was in 2010 was held at the Hard Rock in Albuquerque and 2011 held in the Crow Plaza Hotel. To follow with his last show in December 4, 2013. Mr. Ramirez have a private studio where he designs for private clients. Mr. Ramirez, designs and produce a Fashion Show every two years were he presents and reveals his new collections and the money collected from the attendees goes all to charity foundations of his choice. Hope you enjoy his work and learn more about his work at www.guadalupe-ramirez.com. 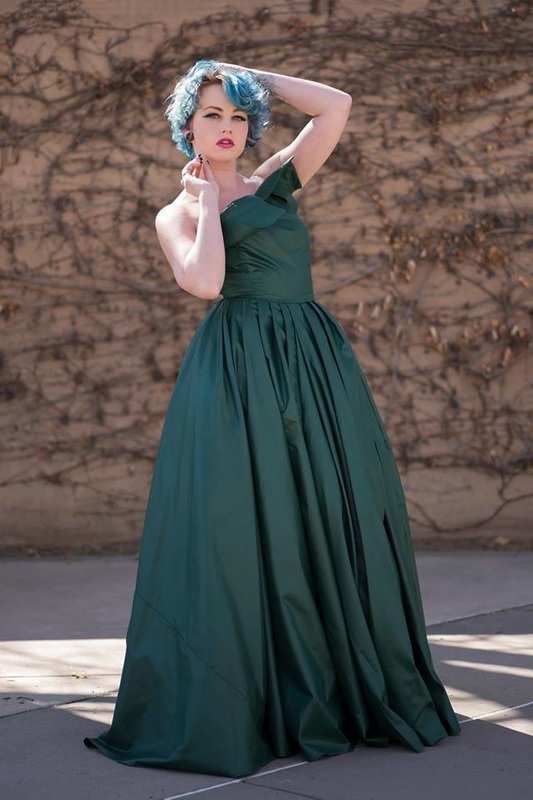 New Mexico Fashion Week Albuquerque is pleased to welcome designer, Kendra Grace Designs, to NMFW16. 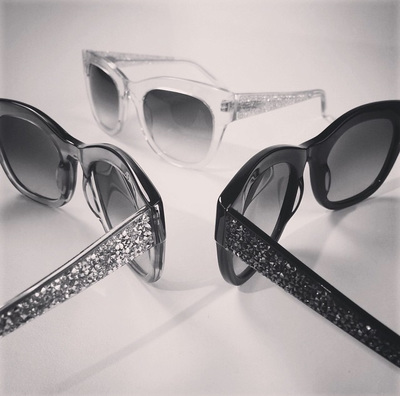 New Mexico Fashion Week Albuquerque is pleased to welcome designer, Lovato Eyecare, to NMFW16. 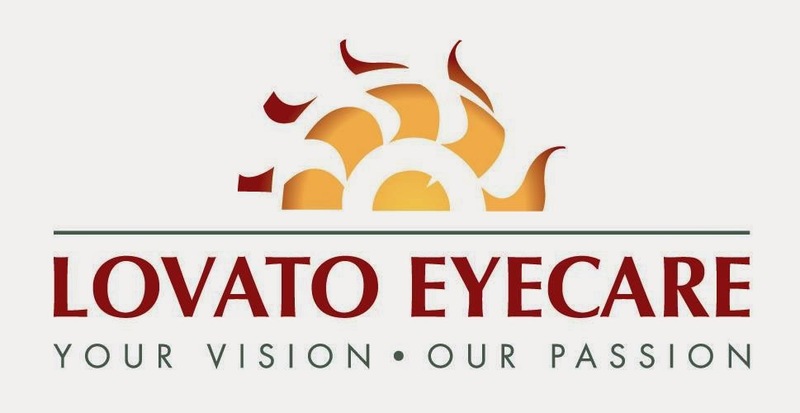 ​Lovato Eyecare is a full service eye care practice offering ophthalmology, optometry, optical and contact lens services. Dr. Lovato, a fellowship trained, board certified ophthalmologist in Albuquerque, treats a full range of medical eye diseases and performs cataract and laser surgery. 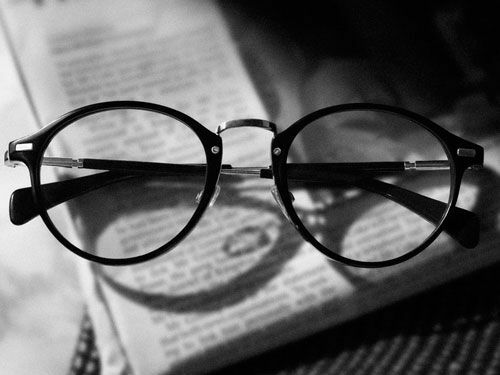 He also provides his patients with their yearly routine vision care. He has been the community’s trusted resource for superior eye care service and patient satisfaction for many years. We are unique and different in that we pride ourselves on giving personalized care to each and every patient. Our trained staff members are friendly, efficient and always willing to go the extra mile. Your vision is our passion! We look forward to seeing you soon! ​ www.lovatoeyecare.com. 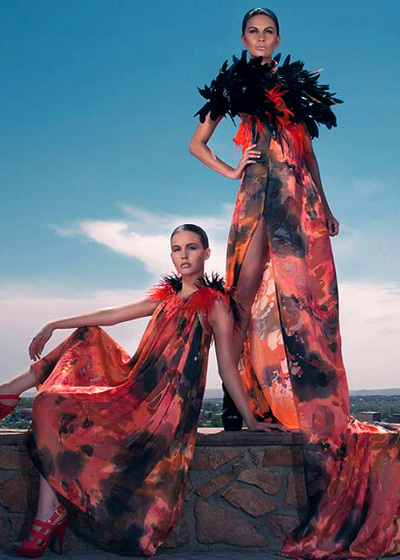 New Mexico Fashion Week Albuquerque is pleased to announce the return of NMFW14 & NMFW15 designer, Monista Arts. ​Monista Arts will be presenting a exciting, entirely new line for NMFW16! 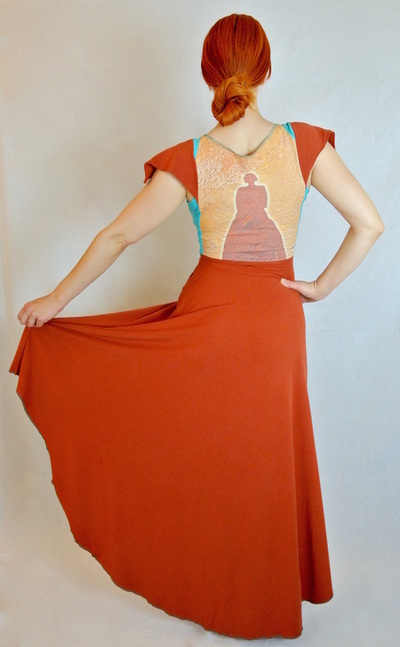 ​Orlando Dugi is an emerging designer of women’s evening wear based in Santa Fe, NM. 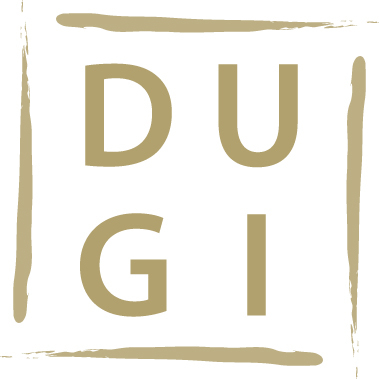 DUGI first started in hand-made and hand-beaded evening clutches in 2010 and added jewelry a year later. In 2012 he began designing women’s high-end evening wear. Dugi is currently pursuing a fashion degree. 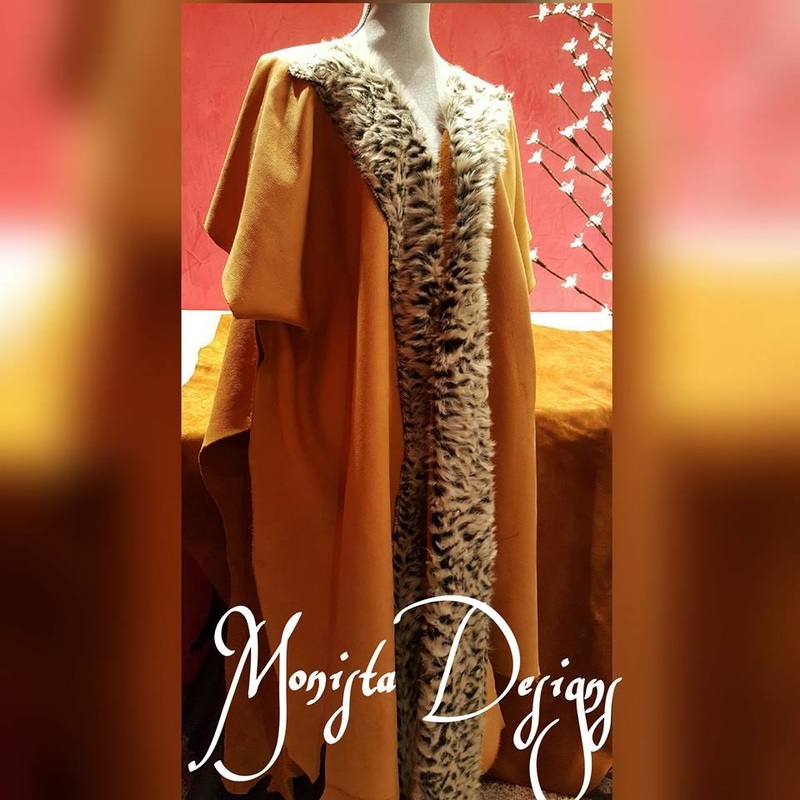 As an emerging designer Orlando Dugi has presented and exhibited in several shows including Mercedes-Benz Oklahoma Fashion Week, Santa Fe Street Fashion Week and a few museum exhibitions. The line is currently made-to-order at www.orlandodugi.com and off the runway. 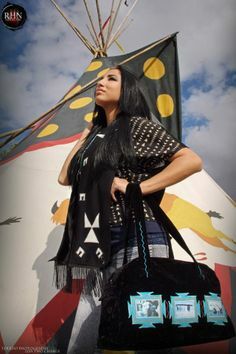 The Penny Singer Collection is a line of unique handmade clothing and accessories that embraces the Native American spirit and comes to market with clean lines, smart design and a flavor all its own. My philosophy is that a garment should be the best that it can be, and I invest the time to ensure that the quality of every piece meets or exceeds the standards of the last. From handbags to ribbon shirts, my designs reflect who I am—free, unapologetic and just plain “real.” I create from the heart. 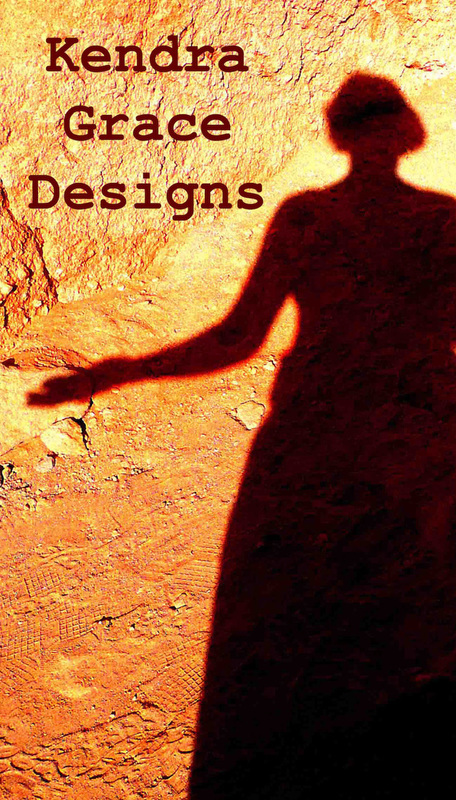 Every time that I design a new piece, it is as if I am reconnecting with my Native Diné roots. 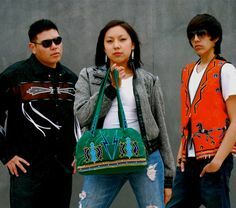 Having grown up as an “Urban Indian” away from the reservation, it wasn’t until college that I discovered a broader perspective of what it means to be Native American and gained a view into traditional Native ways. Since then, I have spent time on the reservation, and when I travel to TecNosPos, Arizona, I am enveloped in my culture and able to take in new things each time. In turn, these experiences become woven into my work. It’s as if the thread used to sew my collection is spun with drive, determination, and the need to make people understand where I come from and the beauty in being Native. As a single mother, the thread pushing through the fabric is also a metaphor for stitching a wonderful new life for me and my son. ​New Mexico Fashion Week Albuquerque is pleased to welcome designer, Westerngrace, to NMFW16.